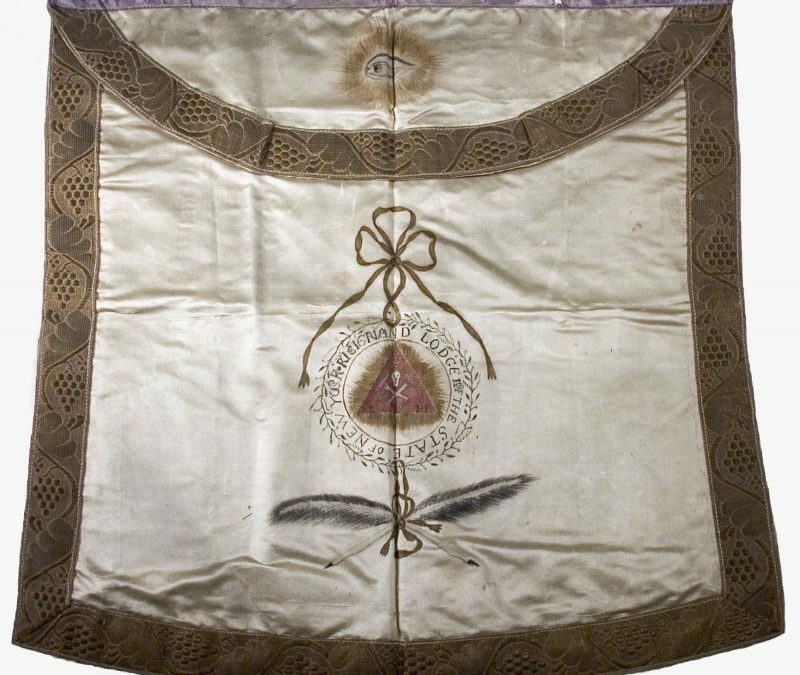 A silk apron worn by Grand Secretary Reinier Jan van den Broek (van den Broeck), who served as Grand Secretary of the Grand Lodge of New York during the last year of MW Robert R Livingston’s time as Grand Master (1784-1800). This Apron was presented in 1802 by RW van den Broeck’s widow to his successor, RW Daniel D. Tompkins. 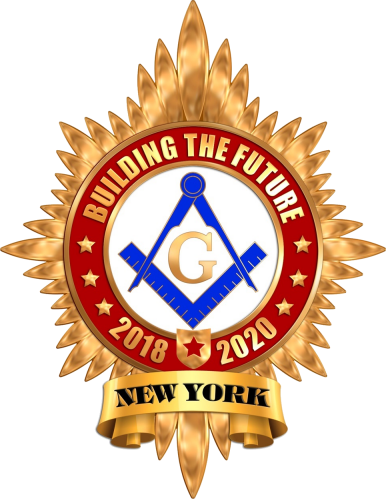 RW Tompkins served as Grand Secretary from 1801-1804 and Grand Master of the Grand Lodge of New York from 1820-1822. 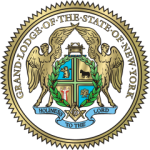 He also served as Governor of the State of New York from 1807-1817 and as Vice President of the United States of America from 1817-1825. James M. Fuller (incorrectly named Henry M. Fuller in old catalog), Founder and Charter member of Commonwealth Lodge No. 409, Brooklyn, NY. Click here for a full record of this amazing apron!